The update should appear on compatible Google TV devices in the next few months and bring new core functionality and support for newer builds of Google Chrome. Google says the update to Jelly Bean will allow OEMs to build updates for Google TV devices in weeks rather than months. Chrome itself will also get frequent updates. 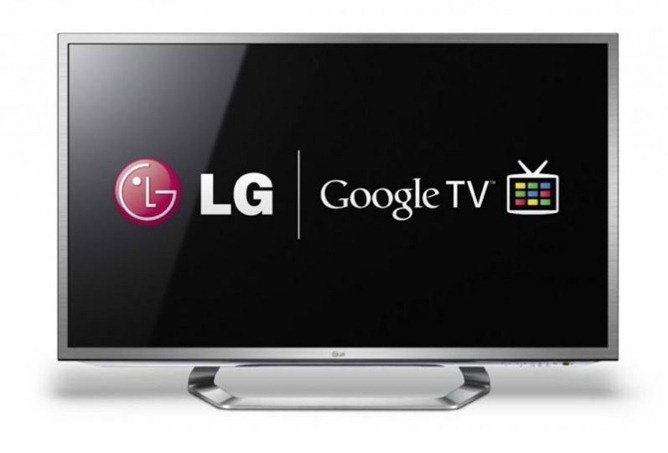 In fact, LG has confirmed that its Google TV products will be getting the update in Q3 of this year. Jelly Bean on Google TV adds better support for games and heavy 3D apps, hardware content protection, and stability fixes. LG says its "exceptional remote control options" will be enhanced by the update, but isn't clear on exactly how. It's nice to see Google isn't completely ignoring GTV, and we will likely hear more about Google's Jelly Bean living room play later this week. Last but not least, Android 4.2.2 will finally bring NDK support to Google TV. SAN FRANCISCO, May 15, 2013 /PRNewswire/ -- LG Electronics today announced that its Google TVs will be updated with the latest version of the Android 4.2.2 Jelly Bean operating system (OS). LG is showcasing Google TVs with the new operating system at the Google I/O developer conference in San Francisco this week. Available in the third quarter, the update will enable customers to enjoy more applications, including games that provide a greater level of interactivity and advanced graphics. In addition to boosting overall performance, the latest Jelly Bean update supports the Android Native Development Kit (NDK), so LG Google TV owners can have the widest, most diverse selection of apps to choose from. Smartphone apps designed using the NDK will run on LG Google TV with little to no modifications. With NDK compatibility, users can now play more games on the bigger LG Google TV screen. This level of compatibility makes it easier for developers to enter the burgeoning Smart TV app market. "LG Google TVs with the latest Jelly Bean operating system and NDK support will deliver an enhanced user experience and access to more great apps," said Havis Kwon , president and CEO of the LG Home Entertainment Company. "In addition to enabling users to enjoy advanced Android apps, the latest OS will also provide developers with new opportunities in the Smart TV arena." Users will also benefit from LG's exceptional remote control options, which will make it easier to interact with the vast amount of content available on LG Google TV. In addition to the intuitive functionality of its Magic Remote Qwerty, LG will introduce a free remote control app that can turn any Android smartphone or tablet into a two-handed, touch-sensitive game controller. LG's new controller app is the ideal control solution for the large number of interactive games set to arrive on the upgraded Google TV platform as it provides a level of control necessary to play more complex games such as football and racing simulations. The latest update will also include LG's patented "3D Game Changer," bringing a dimension to interactive games never seen before. The LG 3D Game Changer feature produces a fully immersive effect by displaying 2D games in enhanced 3D mode, for an effect previously available only in movies filmed with 3D equipment. Android 4.2.2 Jelly Bean will be available as an over-the-air download for existing LG Google TVs in the United States starting in the third quarter. For a video demonstration of LG Google TV with Android 4.2.2. Jelly Bean, please go to www.youtube.com/watch?v=R-WxHVwodpA.